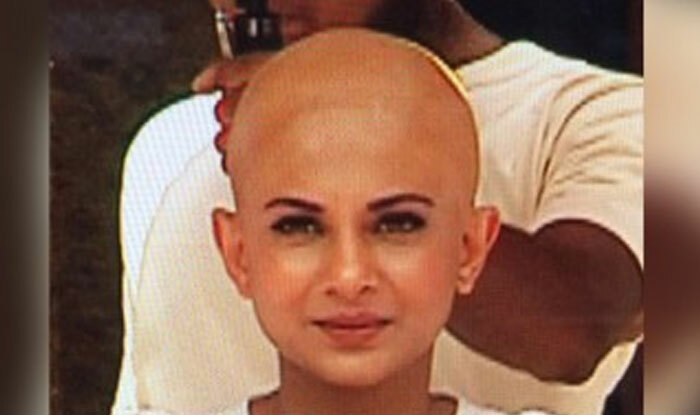 TV actor Jennifer Winget posted a picture of her bald look on Instagram, her fan clubs have gone on an overdrive, with some lauding her guts and some wondering why she would go to such extremes for an on-screen role. To break it to you, the actor hasn’t got her head shaved and it’s all been done with the help of prosthetics. “I’ve never done anything as crazy as this with my look before. I was definitely nervous as to how the whole look would turn out. But I’m so glad it’s worked and all credit goes to the team behind this look. Even I was stunned when I saw the finished look,” says Jennifer. Following a small leap, Jennifer’s character undergoes major physical changes too. After a bald look, the actor is now sporting a short hair look. The wavy bob, done by celebrity hair stylist Adhuna Bhabani, has a coffee brown shade with honey highlights.